The Insurance Company of the West Indies (ICWI) was founded in 1968 and is recognized in Jamaica as a leading provider of motor and property Insurance. As ICWI is anchored in Jamaica but serves the West Indies, it is fitting that the company should choose to invest in the growth of a West Indian instrument, and Panoridim - the leaders of the instrument in Jamaica. 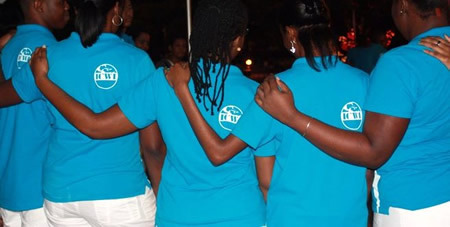 ICWI first became the corporate sponsor of UWI Panoridim in 1996 and has maintained a strong relationship with the band since then. ICWI Limited, based in Jamaica, has grown with Panoridim through the years, assisting with expansion of the band’s equipment, sponsoring participation in competitions, and investing in professional training of the members, among others. Through assistance from ICWI, the band has spawned professional pannists who now share their skills with other bands throughout the island, and has even spawned a steelpan tuner. ICWI has also sought to continually energize the band through its own mission of high quality service and excellence.